Why the maternity market is an ideal way for brick-and-mortar stores to bump up sales. Want to compete against online merchants? 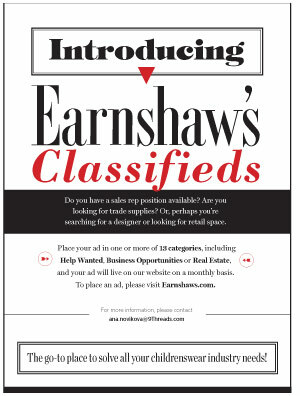 Bumping up one’s maternity selection and service might be just the ticket. For starters, the segment is a BIG business and, like any newborn, is only expected to keep growing. In fact, maternity sales have been on quite a growth spurt of late—up nearly 200 percent since 2014, with more than 75 percent focused in clothing and accessories. Current industry estimates peg the category at $2 billion in the U.S., serving more than 6 million pregnant women each year. What’s more, it’s expected to grow to $7 billion by 2023. What’s fueling this boom? Well, it’s not more babies as fertility rates are projected to continue to decline. Rather, experts point to women waiting longer to start families, which in turn means more disposable income for pregnancy pampering and quality purchases. In addition, women are better informed than ever and want to buy what’s best for their child. Lastly, there’s just so much more stuff to buy. Expectant parents can often overwhelm themselves with online research. First-time moms especially have loads to digest when perusing strollers, cribs, bassinets, burp clothes, layette, diaper bags, blankets, breast pumps, baby monitors, etc. It’s a lot to digest! The process can be fraught with confusion and, worse, result in making the wrong choice. Just because it’s online doesn’t mean it’s true. Why not ask a friendly neighborhood retailer? The same forthright and helpful rule of thumb plays when merchandising maternity items. For example, many retailers agree that clothing for Mom often sells best when clearly marked in its own section. Everything she needs—and doesn’t know she needs—is all there. In addition, it’s wise to sprinkle in select newborn accessories and “mini me” outfits to round out that section. “I make sure to mix some baby products in on the shelves around my maternity section so it encourages cross-buying,” says Kammerer, adding that some mom “must-haves” by the checkout is another good strategy. Here are some other helpful tips and strategies to max out your maternity sales. With the rise of social media and body positivity movements, moms-to-be have become more open with their changing bodies—and the ability to post it all to their friends. Victoria’s Secret Angel Lily Aldridge, for example, flaunted her five-month baby bump in Brandon Maxwell’s Spring ’19 show and Beyonce’s ethereal pregnancy announcement became the most liked Instagram post in 2017. Brands are taking notice and giving moms Insta-worthy products that celebrate their bumps as they grow. 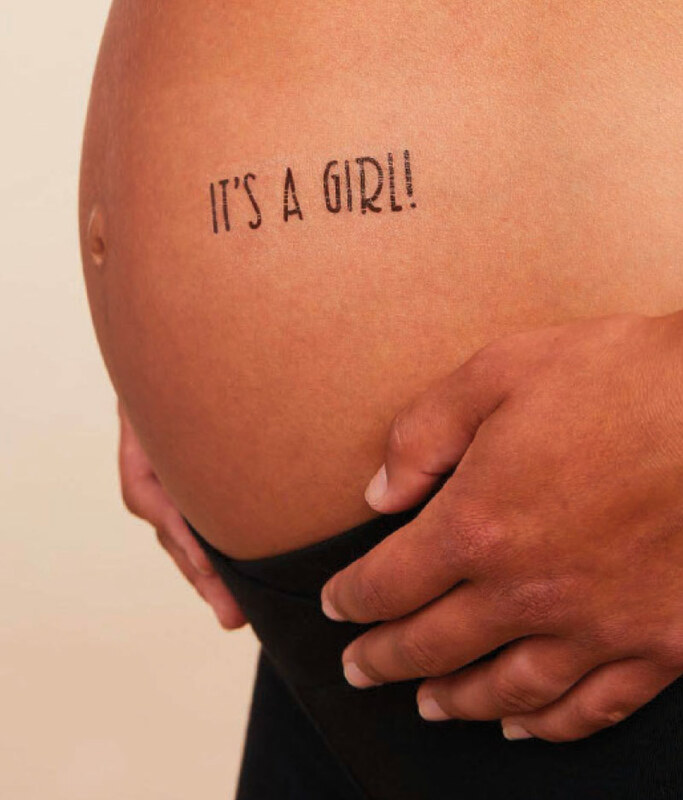 Dani Egna, founder of upscale temporary tattoo line Inked by Dani, created a collection just for expecting moms. “We’re here to help empower women to accept their bodies,” Egna says. “We want women to be proud and show off their tatted up bellies.” The line features milestones, birth announcements and tiny footprints. One of the most prominent trends in the maternity category over the past couple of years has been clothing Mom can wear from pregnancy into postpartum. These “bump and beyond” designs are comfortable during pregnancy, but styled to still look good after the bump is gone. Cornwell carries brands like Entro, Umgee and Blue Heaven in the “Nine Months and Beyond” section of her store. “Even women who aren’t pregnant wear these brands because they’re so well-designed,” she says. Moms are also more likely to spend extra on quality clothing compared to discount maternity attire that will only stay relevant for a few months. “Most moms nurse about a year, so when you buy better quality maternity clothing, it meshes into your regular wardrobe without being obvious or wearing out,” Vuong says, adding that inner support wear is another important investment for the long-term. “When you buy a $40 nursing bra from a box store, the clips are going to break with all the fastening and unfastening, and you’ll have to spend another $40,” he says. Instead, he carries nursing bras by Seraphine—its top seller. “Moms don’t need to buy a whole lot of cheap bras, just a few that will get you through a year of nursing,” Vuong says. One of the biggest stressors for pregnant women is the pain that comes without necessary support, especially when trying to sleep. While full-length body pillows have been popular for years, brands like Boppy are opting for other shapes to address all pain points. British vlogger Louise Pentland used Boppy’s Wedgie pillow during her last pregnancy. “It was one of the only things that helped me sleep,” she told her 2.5 million subscribers, adding that she would place it under her bump when she slept on her side. 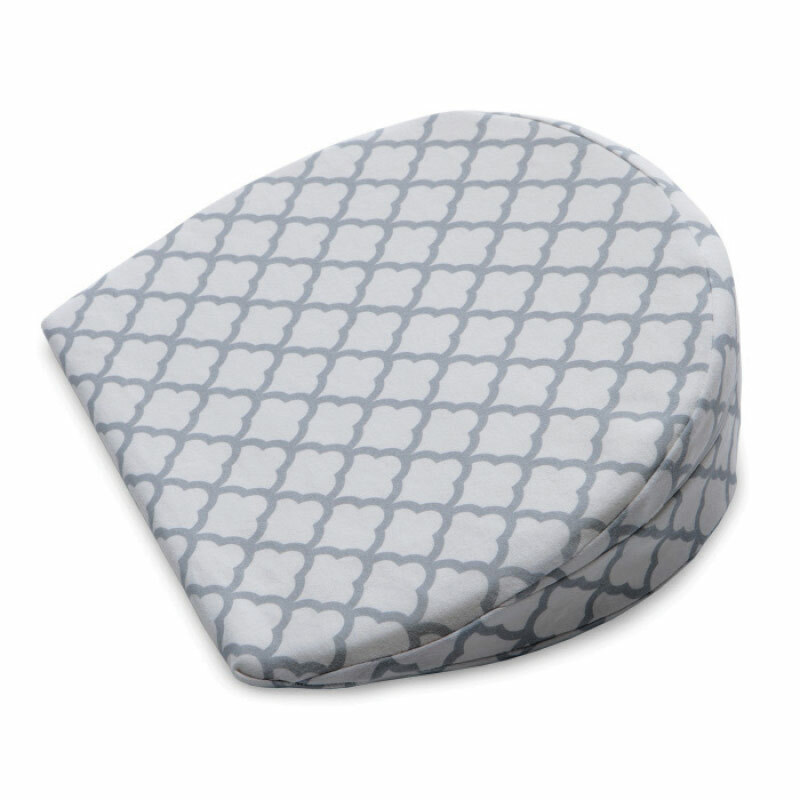 The wedge pillow’s small size also makes it easy to tote around and place between the knees while lying down or placing behind the back for lumbar support at work. U-shaped body pillows like those from Moonlight Slumber or Remedy offer additional support beyond the bump. These pillows are contoured to wrap around the body to either prop Mom up or sandwich her front and back once she starts sleeping on her side in the second trimester. Bennett used a U-shaped body pillow during her pregnancies. “It helps so much because it gives the body support in areas a mattress just can’t,” she told her 112,000 subscribers in a third trimester product haul video. “I loved it so much I passed it on to pregnant friends.” The U-shaped pillow also helped Bennett postpartum when she had hip issues and while nursing. Bellybands are another method to offer daily relief for aching backs in the third trimester. Lori Caden, CEO and co-founder of Belly Bandit, designed its Upsie Belly and B.D.A. line of leggings and tanks with expecting moms’ comfort in mind. “Millennial moms want clothes that look good and most importantly feel good,” she says. “They also want products that can take them from work to workout.” Thus, Belly Bandit’s new athleisure line, launching next month. It’s just one more reason why Caden believes the maternity category offers big potential going forward. “Knowing what expecting mothers will be looking for and adding it to your shelves can be the boost traditional retailers need to overcome losses from online competition,” she says.